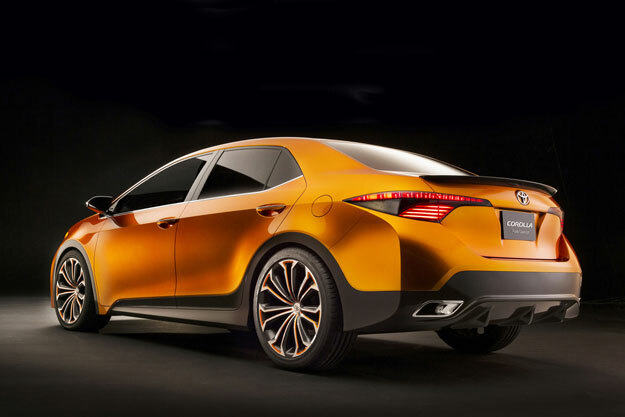 2013 Detroit Auto Show: Is the Furia Concept the future of the Toyota Corolla? 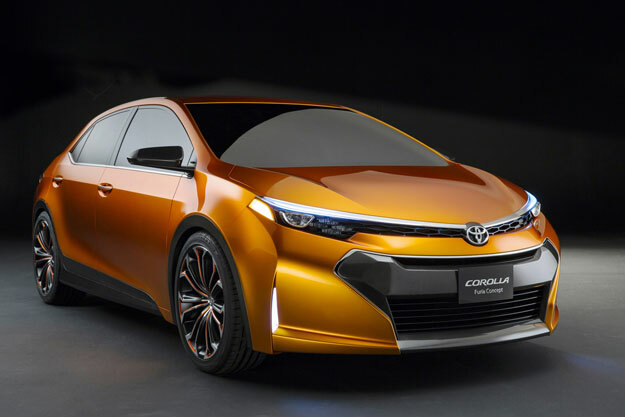 At the 2013 North American International Auto Show in Detroit, Toyota revealed the Corolla Furia Concept, a design study that the Japanese automaker points out will heavily influence the next-generation Corolla. And dramatic it is. The current Corolla is a veritable snooze-fest. Were it a movie it would be filmed in black and white and center on old-timey technology like the printing press. The Furia Concept couldn’t be any different; it’s more a Michael Bay movie sans the gratuitous explosions and nausea-inducing camera movements. Toyota says the Furia’s design is centered around a theme of “Iconic Dynamism,” which above everything else, creates a confident and aggressive appearance designed to appeal to more youthful buyers. LED head and taillamps, combined with carbon fiber accents help further this cause, while the Furia’s raked hood and gaping front fascia lend a greater degree of exuberance and athleticism to the overall look. 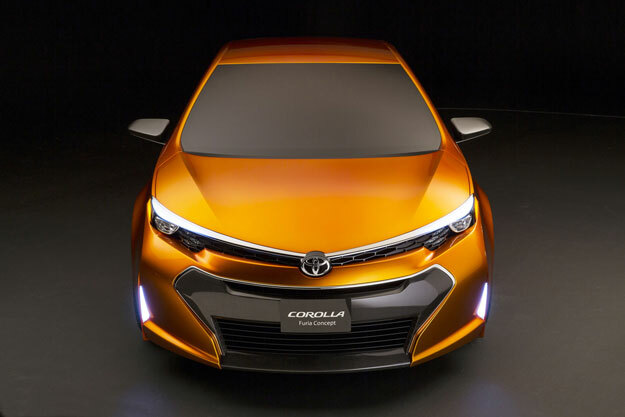 If the Furia really is a glimpse into the future of the Corolla’s design language, mark us down for two. But more than that, it’s refreshing to know that Toyota’s design studios isn’t the walking land of the dead we’ve been led to believe.